Tried to get the child to eat something other than fruit for her breakfast. Found a recipe for peanut butter pancakes. In essence add two tbsp of smooth peanut butter to your favourite American pancake recipe. Cook as normal. 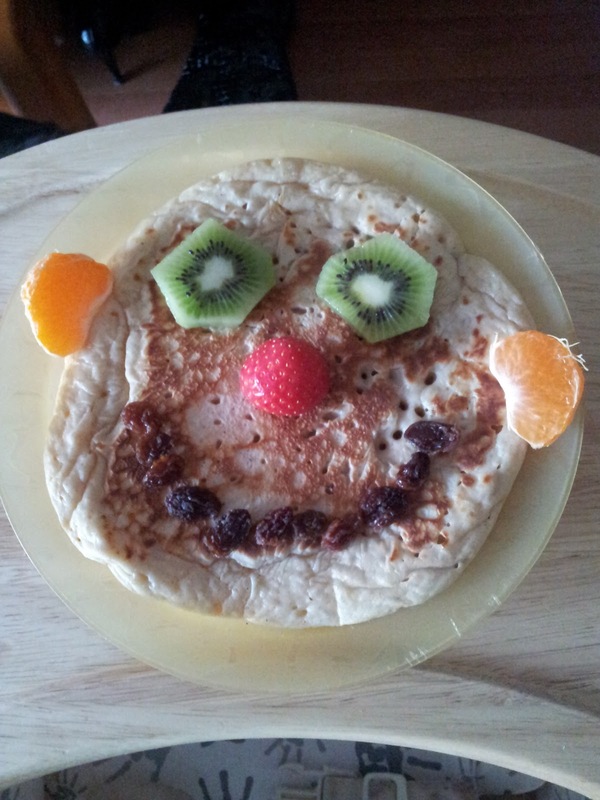 I decorated them with a funny face - just like all the 'fussy toddler' books tell you to do. She took one bite of the pancake, spat it out and fed the rest to the dog. The husband's favourite line is "the dogs eat cow sh*t so they're hardly discerning"